The Nike SB Men's Anorak Jacket is essential for transitional weather, on or off your board. Lightweight, packable and with plenty of pockets, the half-zip pullover provides adaptability and versatility for the session and beyond. 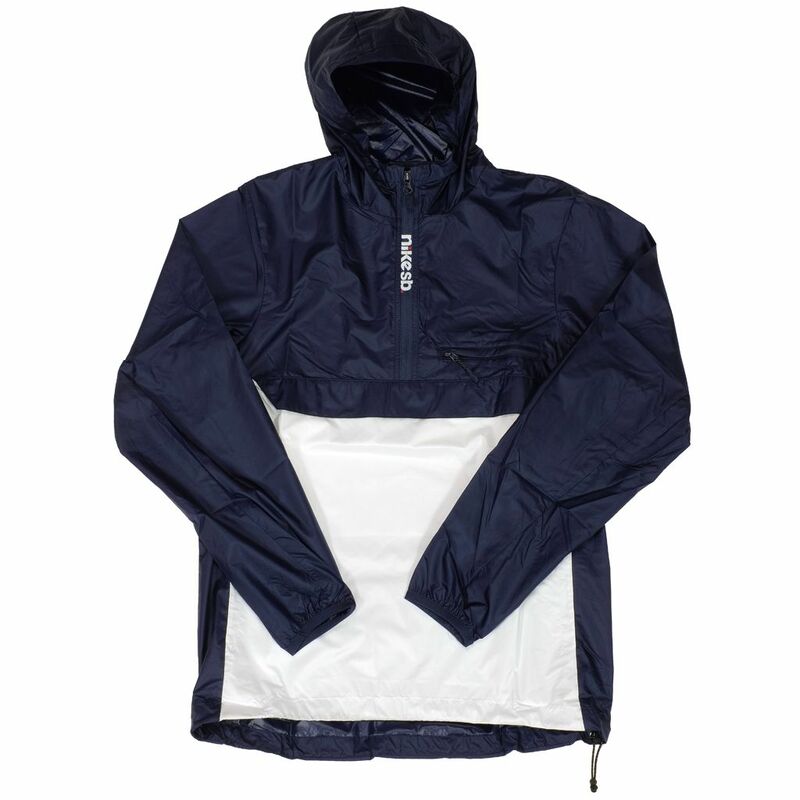 Durable woven fabric covers you from head to hem without the weight and bulk of a typical jacket, so you can stay light on your board in cool weather. 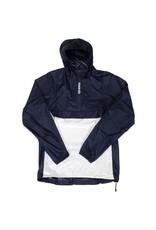 When the sun comes out, you can pack the jacket into the zippered front chest pocket. A carabiner clip lets you secure the jacket on a belt loop or bag for hands-free carrying. An oversized kangaroo pocket, a large pouch pocket and the zippered chest stash pocket give you lots of room to stow your wallet, phone and keys.